The Logitech Z313 speaker system is for those who want bigger and better sound for gaming, music and movie watching than can be wrestled out of your computer’s in-built speakers. 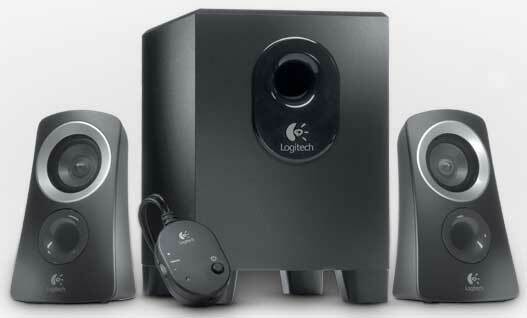 A 2.1 speaker system, 2 speakers and a subwoofer, the Logitech Z313s connect to a computer using the standard 3.5 mm audio output jack, and kick out 25 watts (RMS) of power. Included in the box is a wired remote, that not only can control the volume, it’s also the place you can plug in headphones, or an iPod. As with most systems like this, the subwoofer won’t win any aesthetics awards, but the two satellite speakers have a good-looking curvy wedge-look about them. The remote quite pain looking, function ruling over form. But let’s face it, you’d be buying this system for the sound, not to mention it’s keenly priced. You want the uber good looks, well, you’ll also be paying a bit more. 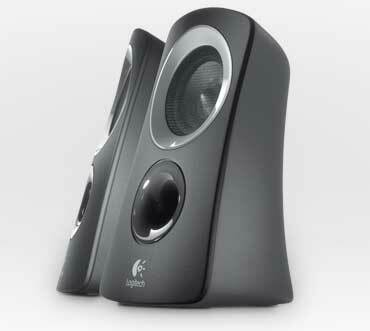 The Logitech Z313 Speaker System Z313 will arrive in stores in July, and will sell for$79.95 RRP.